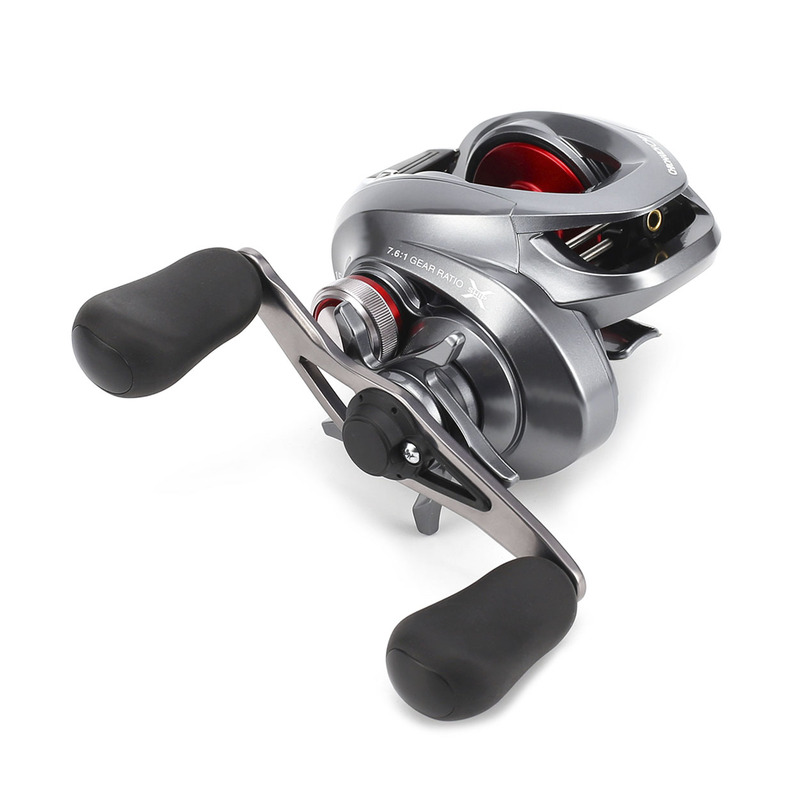 The use of a lightweight CI4+ frame and cold forged aluminium spool makes the Chronarch CI4+ the perfect baitcasting reel for serious bass and predator fishermen. The use of X-ship with a brass pinion gear ensures making winding efficiency and strength in tough situations and the built in level wind delivers line smoothly across the spool. For smoothness and durability there are 7 shielded A-RB bearings and a roller bearing.